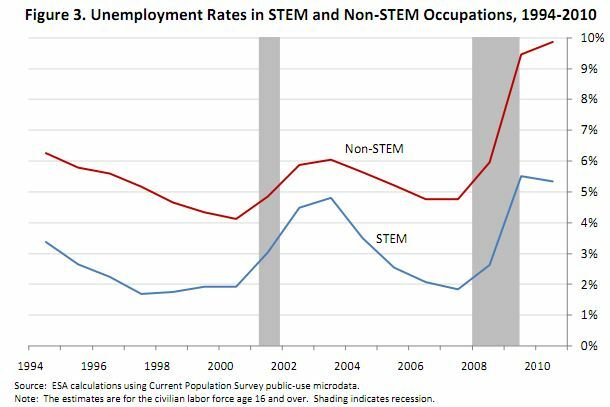 A couple of days ago my colleague GEARS covered some STEM Employment Data that the US Department of Commerce recently released titled STEM: Good Jobs Now and for the Future. Regular readers of mine know I tend to be overly critical of these sorts of assessments. I tend to see them as optimistic and naive. On my own blog a couple weeks ago I talked about engineering jobs by discipline, then I looked at engineering employment over time and engineering pay, and then I broke down engineering employment and pay for mechanical, civil, and electrical engineers. 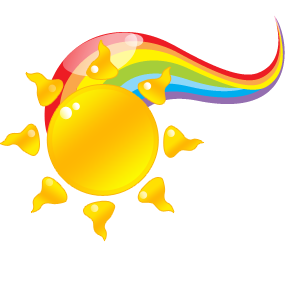 One of the favorite myths the powers that be like to toss around is that a bunch of engineers and technical workers are going to suddenly retire and STEM jobs will be in demand. So in my eyes this report isn’t a whole lot different. Their two major claims: that a STEM degree leads to lower unemployment and higher pay. Their report states that non-STEM bachelor degree holders earn about $58,000 a year compared to an average of $74,000 a year for STEM degreed people. But this doesn’t seem to agree with a recent census report called education pays. That states the average pay for someone with a bachelor’s degree is more like $54,000. So where does this new STEM report get its data? They also have a nice little graph on unemployment. Instead it looks like salary has varied almost independently of number of people employed in various engineering disciplines. There’s even a positive correlation when it comes to software and hardware engineers. And if you take a look at my blog post on engineering employment over time most disciplines remained flat for employment during the recession. A more detailed look at mechanical, electrical and civil engineering employment shows civil and electrical have taken hits during the recession, though not substantial. So what does that say about the data from the commerce department? I don’t believe there’s an intention to mislead but I do think there’s been a societal trend to drink the koolaid on this one. Education is not the sole key to high wages and low unemployment. At this point demand is more of an issue than supply and I don’t see any proof we have an undersupply of STEM educated and qualified workers. In fact I’d argue the opposite, and that while a lot of STEM recruitment is well meaning and a good idea I think it’s heavily encouraged by industry who would like to see these wages move down rather than up. Well readers what do you think? Does the Commerce Department have a case here that a STEM job is causation to higher pay and lower unemployment or is there some correlation and some overstated facts? Am I too cynical on this one? The $58k figure, from what I can gather, is calculated from an average hourly wage. Using a 7.5hr or 8hr work day will skew the results slightly. The $54k number is based on a median weekly wage. I think given the different methodologies (hourly/weekly; average/median), the two numbers are quite close to each other. If demand increases, the correlation between pay and employment should be positive. Given a fixed supply curve (which slopes upwards on a supply/demand curve), increasing demand means the downward sloping demand curve shifts to the right, increasing both salaries and the numbers being employed. Your data shows that this is the case for computer engineers. If the correlation plot is pretty much vertical, it means that demand is increasing while supply is decreasing, which shifts salaries upwards while employment remains steady. This appears to be the case for electrical, civil, and mechanical engineers. Thus, in all four plots, it shows demand continues to outstrip supply. Does the Commerce Department have a case here that a STEM job is causation to higher pay and lower unemployment or is there some correlation and some overstated facts? I think the Commerce Dept numbers clearly show STEM workers holding a clear wage advantage at every educational level but no employment rate advantage when compared against those with comparable levels of education. Overall, it’s a positive message for STEM workers. All the plot shows is the number employed versus their salary. What this doesn’t show is how many *want* to be employed. It shows median salary. It does NOT show if the number of people employed have actually had salary reductions or if the people who are employed is less than in the past. It’s perfectly plausible that the numbers of people employed are lower than in the past as well as the fact that these salaries may actually be less than in the past. If that those numbers have shifted downward over time, then that is a more accurate way to estimate if demand is decreasing. The plot shown gives no indication as to how demand is trending versus supply because it’s a snapshot of one point in time. All the plot shows is the number employed versus their salary. Thats’ true. 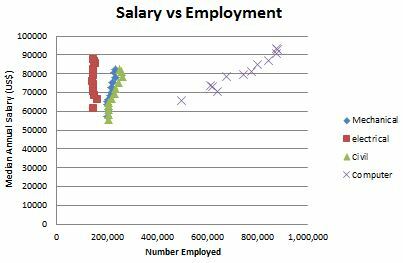 The salary vs employment plot in this post has no time component, so we cannot tell using that plot in and of itself whether demand is rising or falling. But I’ve had the benefit of reading FrauTech’s own personal blog post on the matter (which she links to in this post), which shows where the data for the plot in question comes from. In her personal blog post, it shows increasing employment over time for computer, mech, and civil engineers while EEs are pretty much flat. Real wages have also risen for all groups. Thus, we have a situation where real wages continue to rise accompanied, at worst, by stagnating employment numbers. By classical economics of supply and demand, this shows demand outstripping supply. Great Green Hope « Design. Build. Play. 1st, I’d like to thank u for investigating the ‘trendy’ coverage on the STEM topic, and for providing some factual data behind the Commerce Dept’s (I.e. Fed gov’t agency) report. As engineers, we are trained to analyze ANY proclamation with data, to see whether or not the author(s) did his/her due diligence in obtaining said data and then drawing conclusions for ‘the masses’. The typical layman citizen hearing or reading this data report (and others) is probably not as critical if they’ve no background in stats or the ‘science’ of sampling plans. My point is that, unless we take the time to ‘vet’ each study or report coming out of the public (or any) sector, we’re more inclined to be swayed by the delivery and tone of the reporting method or reporter, than we are by the facts behind that report. After my 25+ years in private aerospace and consumer electronics, plus the recent experience of the Great Recession, I’m just very blessed to have my current ‘STEM’ job, and I hope our true unemployment stats steadily improve by God’s grace, if not by the current administration’s policies. Best to all!